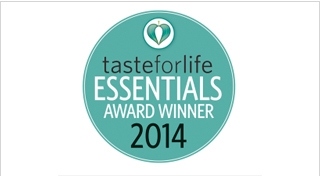 Parents on the Taste for Life staff proudly nominated a great number of their own families’ essentials. Then the editors read labels, reviewed the accolades, and selected winners among the many worthy products in each category. These awards call attention to standouts in four categories essential to consumers and their little ones: Wellness Within, Natural Bath and Body Care, Everyday Remedies, and The Hygiene Routine. Natural Vitality Kids Natural Calm Multi was a winner in the “Back to School Essentials” category for 2014.